It took just 1.28 seconds to make history. 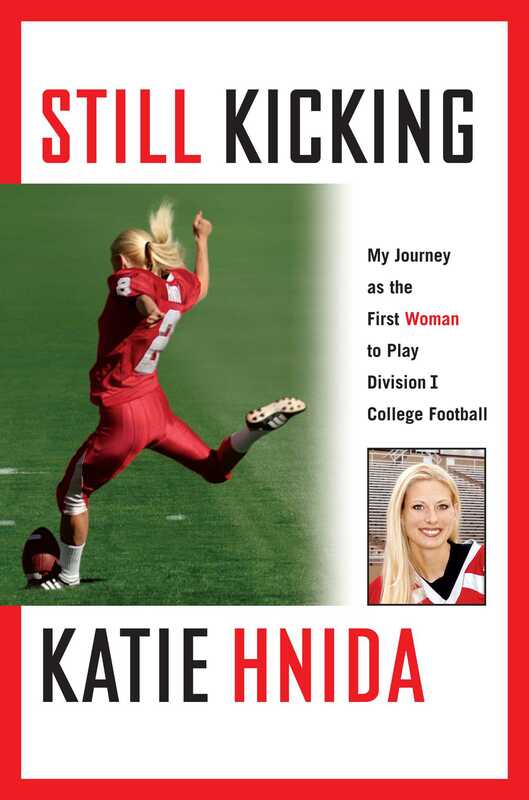 On August 30, 2003, Katie Hnida became the first woman ever to play and score in NCAA Division I football. The struggle to get to that groundbreaking moment took eight long years, a journey filled with dogged commitment, horrifying setbacks, and finally, remarkable triumph. Fate came knocking for the 14-year-old Hnida in the unlikely form of a torn thigh muscle -- an injury that would drive her off the soccer field in search of another outlet for her athletic talent. She found football and with it gender-defying success. The same day Hnida's high school classmates voted her homecoming queen, she donned her helmet and pads and kicked six extra points in the homecoming game. When she is recruited to play for the University of Colorado Buffaloes, her great dream is realized, and she seems set for glory on a much larger stage. But upon arriving in Boulder, she begins a tour of hell inside the University of Colorado's football program, a hell that culminates in Hnida being raped by a teammate. It is here that the story truly begins. Katie is physically and emotionally devastated. She leaves the university and begins climbing her way back to who she was and what she wanted. She learns to speak about what happened to her and to push through harrowing flashbacks of violence. The very thing that drew her into the darkest days of her life will ultimately save her: football. She sends 80 kicking tapes to 80 Division I schools and is invited to visit several top football programs. But it is the blue-collar, no-nonsense team that wins her trust: the University of New Mexico Lobos. Under head coach Rocky Long, Hnida continues her long road to recovery through hard work and the will to never give up. She is not only accepted by her teammates, she also finds herself part of a team that's a family. In Albuquerque, Hnida is reunited with her dream. Under a true leader, she blossoms. Her teammates are teammates, supporting and encouraging her to reach her goal. And with just seven minutes and 20 seconds to go in a game against Southwest Texas, the history-making extra point kick is made in under two seconds, changing everyone's ideas about what is possible. Katie Hnida graduated from the University of New Mexico with a degree in psychology. Her football uniform and cleats are in the College Football Hall of Fame. She lives in New York City.